Today's episode brings me back to April 22nd at Los Angeles' Disney Hall. I guest conducted that day for an amazing annual choral gathering there, the Los Angeles Master Chorale High School Choral Festival. All year long, about 1000 of Los Angeles region's high school choral singers prepare the works on the festival's program. When they come together for the first time, they're by and large strangers. By the time the festival ends--after having spent the day honing the music that connects them--they leave as a big joyful family. But the festival wasn't just about rehearsing and performing. Many of the singers got to see Disney Hall for the first time. They heard organist extraordinaire, John West, play the hall's astounding instrument. Members of the LA Master Chorale and associate conductor Lesley Leighton performed four incredible world premieres for the students. And I was especially impressed with the diversity of the festival choir's program -- from Handel to spirituals-- which this year also included a last-minute arrangement of "Purple Rain," a tribute to Prince, who had died just the day before. 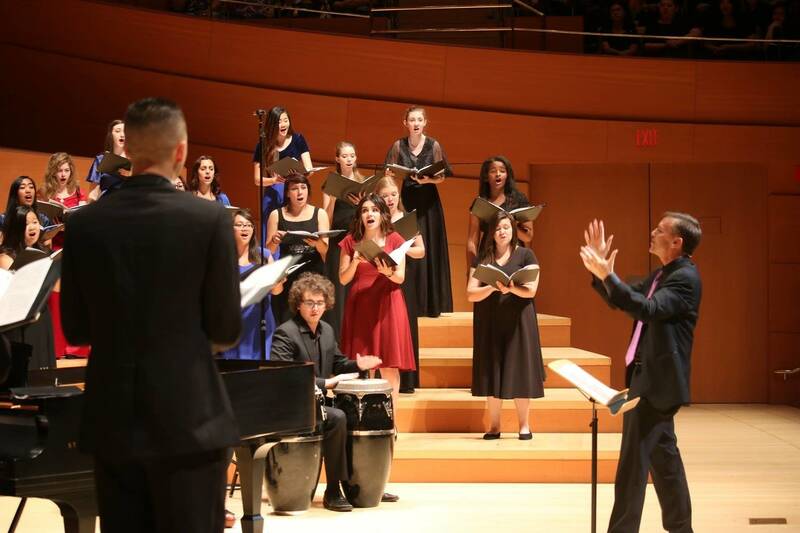 In the words of festival director and L.A. Master Chorale artistic director Grant Gershon, "It was a celebration of what makes us all one being and one energy when we're connected with music." If you want to hear more about the LAMC High School Choral Festival, audio excerpts from their performance, or interviews from students who participated in it, please click the audio player above. Special Thanks to Walt Disney Concert Hall for providing audio in this week's episode.